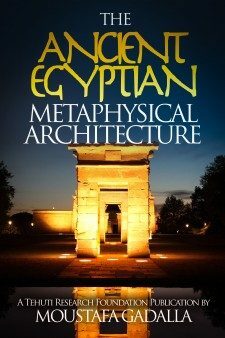 The Ancient and Baladi Egyptians made/make no distinction between a metaphysical state of being and one with a material body. Such a distinction is a mental illusion, as accepted now in scientific circles since Einstein’s relativity theory that matter is a form of energy. Just as our lives do not stop at death, so our bodies are not limited by their outer physical forms. We exist on a number of different levels at once, from the most physical to the most spiritual. Indeed, in one sense, there is no difference between physical and spiritual; only the gradations that lie between the two ends of the spectrum. The universal energy matrix, according to the Egyptian traditions, consists of the unity of nine (7 heavens and 2 lands) inter-penetrating and interactive realms. As such, Ancient and Baladi Egyptians maintained/maintain communications between their earthly realm and the spirits/energies of the ‘other world’. A. At the highest end of this celestial order, there exists three levels in a sort of heavenly court or council that are not involved with human activities on earth. Such realms are the equivalents of the Archangels and the Orders of Angels which we find in other systems of religion. B. 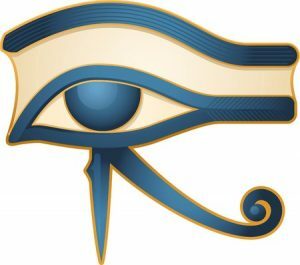 The Egyptians distinguished four lower groups that occupy the celestial hierarchy positions that consist of those who lived on earth for one time or another, and after their earthly departure, continue to be involved with human activities on earth. Such realms are identical with those of some Oriental Christian systems, the prophets, apostles, martyrs, and many great saints. In all periods of Egyptian history, a class of beings was known; some of whom are male and some female. These had many forms and shapes and could appear on earth as men, women, animals, birds, reptiles, trees, plants, etc. They were stronger and more intelligent than men, but they had passions like men. They were credited with possessing some divine powers or characteristics, and yet they could suffer sickness and die. Egyptians speak of their deceased as living, which shows how definite a belief it is that the souls of the deceased return to their tombs/shrines on the specified days of their weekly and annual visitations. The most common communications were/are between earthly beings and their ancestor spirits. These spirits serve the needs of individual family members. The character of such departed souls as community patrons [“local god”] covers a broad range, fulfilling the expectation of their descendants in the community at large. They behave like superior human beings with the same passions and the same needs; but also with transcendental power. The city is the “House” of the ‘patron’. They have shrines, holy objects, and statues. They may appear in the form of stones, trees, animals or human beings. It is conceivable that the patron of a particularly great and mighty town should be believed to exercise a sort of patronage, either politically or agriculturally, over an extended area, and the power they had attained determined their expanding influence over a larger area, resulting in them becoming a great patron with extensive territory. Certain shrines show them to be purely local patrons; many being originally called after towns such as “him of Ombos”, “him of Edfu”, “her of Bast” – they are really merely the genii of the towns. Many show themselves to their followers in the form of some object in which they dwelt. The Egyptians believed that each place was inhabited by a great number of spirits, and that the lesser ones were subject to the chief spirit. The local/village patron is visited weekly every Thursday or Friday. In addition, they have their seasonal and annual festivals. Walis (folk saints) are the people who succeeded in traveling the spiritual Path and who, as a result, have attained union with the Divine. Such unification enables them to perform supernatural acts, influence and predict future events, etc. As a result, they become the intermediaries between the earthly living beings and the supernatural, heavenly realms. After their earthly death, their spiritual force/blessing is thought to increase and to reside in the persons and particularly the places associated with and chosen by them. A folk saint chooses and conveys the places for his shrines to his family and friends during dreams (and possibly waking consciousness, also). As a result, a shrine (or more—usually more than two) is set apart for him/her. Such shrines, in most cases, are not their tombs. These shrines dot the Egyptian landscape since its earliest known history. Ancient and Baladi Egyptians stayed/stay in touch with the Walis. People regularly visit the Walis at their shrines, from surrounding communities. It is a social obligation to visit them; especially on his/her mouled (annual celebration). In addition to visitations, people may also ask these Walis for personal favors. Vows are made by individuals that if the Wali resolves a personal concern, the vower will donate certain items to charity. Unlike the Christian saints, Walis are chosen by ordinary people based on performance. Once the people can see that this person does indeed have the ability to influence supernatural forces in order to assist those on earth and, as a result, fulfills their wishes; then s/he is recognized as a Wali. These folk saints are mistakenly called “minor gods’ by Western writers. The existence of funeral rites in any society reflects the belief that something essential survives man’s physical death, and that the mode of burial in some way influences existence in that spiritual region. Hence arose the great importance of funeral ceremonies and offerings, which caused a spiritual body to spring from the physical body and the ‘Ka’ to continue its existence after the death of the body to which it belonged. Correct rituals are pre-requisites to the process of leaving this realm in an orderly manner to go to another one. Also, correct rituals ensure the return of the deceased during festivals, etc. When the body died, there could be raised from it (by means of words holy or magical and ceremonies performed by the priests) a Spirit-body called Sahu (#8) which entered heaven and lived with the blessed for all eternity. The Ka (#6), Ba (#5), and Shadow Khabet (#4) dwelt in the tomb with the body or wandered about outside it and away from it, when they desired to do so. Their existence was finite, and appears to have terminated whenever funerary offerings failed to be made to them. For more information about the roles and interactions between these metaphysical components, refer to The Nine Components of Man in Chapter 15. Trees, as part of the animated universe, act as a convenient medium between the earthly and departed souls. The Egyptian term for sacred grove is Ginne-na/Guineana, meaning the place of ancestor spirits. Just as the Christmas tree is important in Christmas traditions, where it mediates between Saint Nick and his followers, so we find likewise in the Egyptian traditions, where every folk-saint (Wali) shrine must be next to a tree. Offerings of food and drinks are left beneath the tree of the saint. The same trees are the places for contemplation. All types of rituals were conducted next to the Holy Tree. The tree mediates the resurrection, returning back to life. In the Isis/Osiris allegory, Osiris was enshrined in a living tree. If a gin (ancestor) tree (a tree with a spirit living in it) is nearby, people often write notes and attach them to the branches of the tree. Wise men and women consult departed spirits constantly, and periodically spend several days with them at the spirited grove. On the western side of ALL Egyptian temples and tombs there is always a crack in the wall, or what is commonly described as a false door. The door was a monolithic limestone “false” door, with torus molding and a cavetto cornice. The false door was for the use of the departed, and it was believed that the ghost entered or left it at will. It acted as the interface between the divine and human spheres. The term ‘false door’ is itself something of a misnomer as, from the Egyptian perspective, these features were fully functional portals by which the spirit of the deceased might leave or enter the inner tomb to receive the offerings presented to them. The west is the point of entry of the departed spirit. It is the threshold between the physical earthly realm and the meta-physical realm. As such, the western wall defines the interface between the public and the departed. The smallest tomb in present-day Egypt would have a false door or a hole/crack in the western wall where the living talk to the deceased. The Egyptian temples were not built for public worship, but as shrines for the neteru (gods, goddesses) who represent the different powers of the One God. The Egyptian temple is the link – the proportional mean – between the Macro-cosmos (world) and Micro-cosmos (man). It was a stage upon which meetings were enacted between the neter/netert (god/goddess) and the King, as a representative of the people. The Egyptian temple was a machine for maintaining and developing divine energy. It was the place in which the cosmic energy, neter/etert (god/goddess), came to dwell and radiate its energy to the land and people. 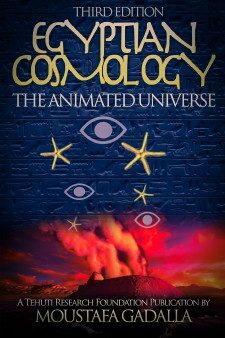 The walls of the Egyptian temple were covered with animated images—including hieroglyphs—to facilitate the communication between the Above and the Below. Understanding this function helps us to regard Egyptian art as something vital and alive. Therefore, we must forego viewing the temple as an interplay of forms against a vague historical and archaeological presentation. Instead, we must try to see it as the relationship between form and function. The harmonious power of the temple plans, the images engraved on the walls, and the forms of worship all led to the same goal; a goal that was both spiritual (as it involved setting superhuman forces in motion) and practical (in that the final awaited result was the maintenance of the country’s prosperity). The temple’s rituals were based upon and coordinated with the movements of the heavens which were, in turn, manifestations of divine cosmic law. The temple’s rituals included, among other things, presenting material offerings: bread, beer, rolls of linen, meat, fowl, and other goods.